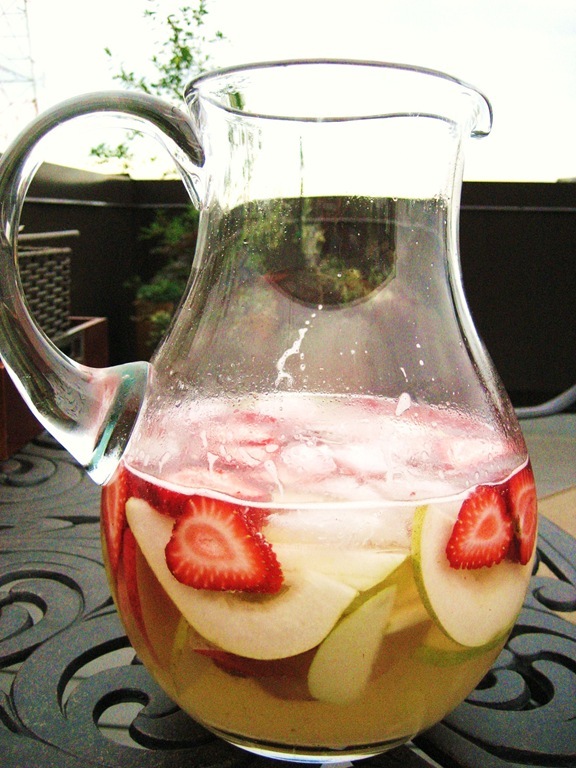 Red wine sangria is great and all, but on warm summer evenings, nothing beats it’s lighter, crisper counterpart. As an added bonus (aren’t I generous?) the fruit makes a tasty desert when the booze runs out! Add the wine and brandy. Cover and refrigerate until you’re ready to server. Add the tonic water and top the pitcher with more ice. 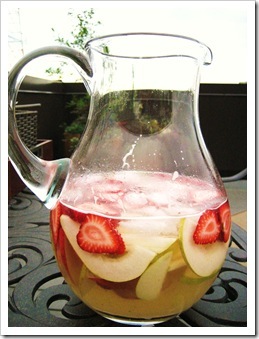 Pour into tall glasses or wine goblets, letting some of the fruit fall into the glass. This drink is to yuppies what the mint julep is to Southern, aristocratic tobacco farmers. Serve along side a polo shirt and a heightened sense of worth.